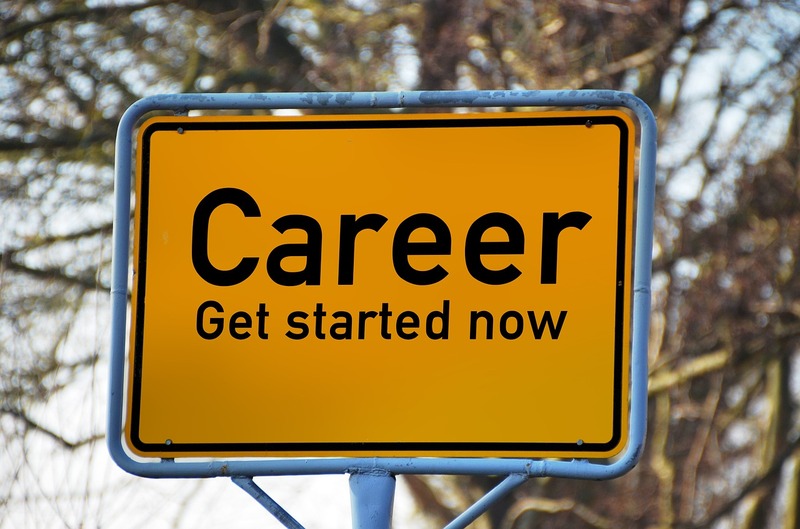 Achieving a successful career takes a variety of skills. In attending a career development seminar on the weekend, I learned a few insights. The tools and techniques to reach success involves two types of practices: opportunities and risk. It is just like the pursuit of risk and reward in investments – it is vital to manage both sides of the coin. In the world of professional careers, let’s consider some of the big picture opportunities and rewards available. Professionals and project managers can respond to these opportunities and threats in several ways. Let’s start by looking at risk management techniques. Unemployment, demotions and company collapse are just a few of the risks that can hurt your career. Without advance planning, these risks will cause significant financial and psychological hardship for you and your family. As you read through the following section, take your situation (e.g. job and industry stability) into account. In Canada, the current maximum weekly payment for employment insurance is approximately $500 (i.e. $2000/month). Even if that money started to flow immediately, those benefits may not be enough for you to live in, especially in large cities. That’s why it makes sense to plan ahead with your own emergency fund. Personal finance experts generally recommend saving the equivalent of three to six months worth of living expenses. Having that fund in place gives you some piece of mind during spells of unemployment. Tip: I recommend keeping your emergency fund at a different institution from the rest of your bank accounts. That’s my practice – I can still access the funds quickly and I’m rarely tempted to access them for non-emergency purposes. As I wrote in 2014, it is important to develop a continuing education strategy for your career. In the context of risk management, continuing education keeps you up to date. This practice is especially important if your work involves rapidly changing technology or a regulated profession (e.g. accounting, law, medicine and others). Tip: Project Management Institute members can access free webinars through ProjectManagement.com. These sessions are typically one hour in length: if you attend the live session, there is often an opportunity to ask questions. Building and sustaining a network of relationships is vital, especially at more senior levels of responsibility. To quickly assess the strength of your network, ask yourself the following questions: do I have a contact list for my network?, when was the last time I gave a favor to someone and who can I ask for favors. Achieving big wins is your career is great; it is not the whole story. It is vital to gather evidence of your success. For example, save copies of positive feedback emails received from clients and other departments. You may also want to save copies of presentations and reports delivered. Relying on your memory to retain all of this information is unlikely to work in the long term. Besides, it is much more compelling to refer to an email from a satisfied stakeholder than report they are satisfied. Resource: Coming up with measures and ways to demonstrate your success doesn’t have to involve guess work. Project managers can use the Project Manager Competency Development Framework from PMI document as a starting point. Learning to earn continues to play a key role in seizing new opportunities. For example, if you are moving from a technical or individual contributor role to a manager role, then you need to develop those new skills. You may take a course on finance or budgets. Another option is to invest in work assessments (especially 360 assessments) that will give you additional insight. In additional to self study, there is great value in seeking out conferences and consulting that combines education with personalized attention. Volunteering for new assignments is a classic way to grow your career. Internal volunteering concerns opportunities within your organization such as the employee engagement committee or health and safety committee. In large organizations, this type of service offers an opportunity for you to meet people from other departments and acquire new knowledge. In some cases, these organizations are also a great way to distinguish yourself through your professionalism and organization. External volunteering, in contrast, concerns activities outside of your company such as charity volunteering. In my view, it is best to work with an organization that aligns with your values (e.g. if you value education, you can look into literacy volunteering or volunteering through an alumni association. Recruiting companies play a key role in the job market and it pays to understand that role. Companies pay recruiters to fill a specific job. It is in everyone’s interest that person and job are matched well. That’s why recruiters ask a great deal of questions including information about your career goals. You may also see recruiters ask you to emphasize different parts of your experience in an application. As with any professional relationship, it is best to start developing the relationship slowly. Resource: The “Best Staffing Firms” publication by Crain Communications presents an overview of the world’s leading recruitment firms. Which of the above recommendations are most relevant to your career situation? What action can you take to reduce risk or take advantage of opportunities?